The BALKAN kHANs had their first gigs as one of the live experiments at the BALKAN SCIENTISTS parties in Sofia a unique meeting point in the town where musicians with strong personalities coming from very different backgrounds, ethnicities and generations join their forces. That is how it became possible for the 65 years old gypsy violin virtuoso Venzi Takev to share one stage with the 22 years Bulgaria’s beat box phenomena Skiller, the multi instrumentalist and global fusion composer Nikolai Ivanov to meet the gypsy gaida (bagpipe) and tupan master Kolio Ivano who rearly leaves his native little town of Straldja, and all this madness under the deep tuba bass of Mitko Uzunov taken right from the rehearsals of Wagner’s “Rhine Gold” in the National Opera house. this is a vital, let’s call it “neo-traditional” music ready to detonate in the ears of the world. 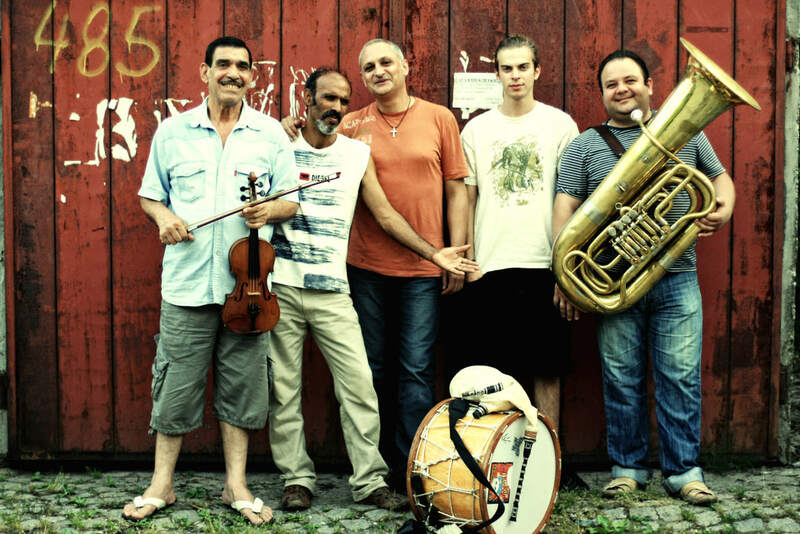 A real Balkan Beat Box team coming from the heart of the Balkans. Don’t miss it! This mixture of musicians is able to combine Balkan music with heavy dub, Indian music, fusion, jazz, tribal rhythms, show glamour and so on. Every time they are good for a new surprising improvisation at their live concerts. Even a romantic Bulgarian Estrada song from the 70s becomes a complex Balkan music full of life and weirdness under the Balkan Han fingers. Their name BALKAN KHANS links into two directions. The people in the orient and india call great music masters as khans. So you have khans on their instruments. Originally the band was called Balkan Han, which referred to the idea of a HAN. HAN is an old Turkish word that originates from Persian and means an INN, CARAVENSARAI – the equivalent of nowadays motels. So it is the place in which travelers from all parts of the society as traders, cultural people and other adventurers on the road came together and share stories, songs and generally “culture”. Actually it is a concept that means nothing else than to bring cultures together. And so they do!